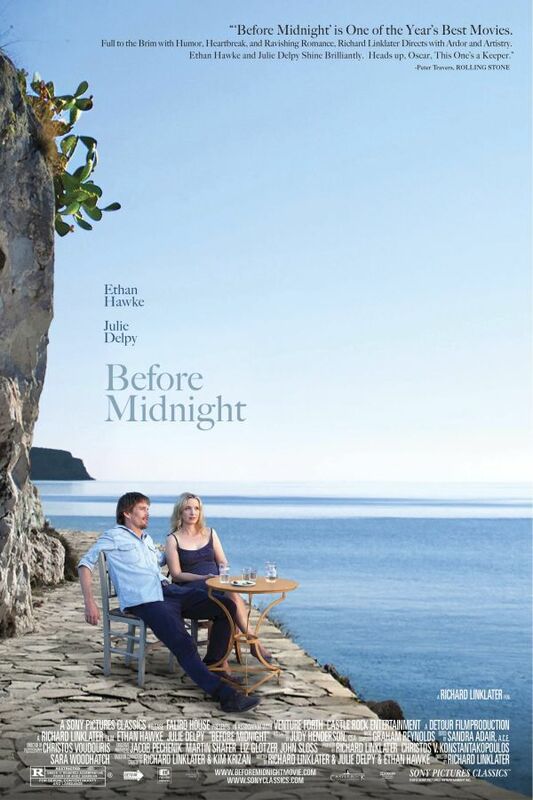 Before Midnight font here refers to the font used in the poster of Before Midnight, which is a 2013 American romantic drama movie and the sequel to Before Sunrise and Before Sunset. The font used for the movie title in the poster is probably Big Caslon CC, which is a revival design by Matthew Carter of Carter & Cone in 1994 and it is based on the three largest sizes of type from the H.W. Caslon & Sons foundry. More details about it can be viewed here. In addition to Before Midnight, Caslon typeface is also used in the following logos, movie posters or album covers etc., including: North & South, Rain Man, Lands’ End, Seven Days in Utopia, The Good Fight, Downton Abbey, August Rush, Me, Myself & Irene, Get What You Give, Beauty and the Beast, The Good Wife, Road to Avonlea, 98 Degrees and Rising.